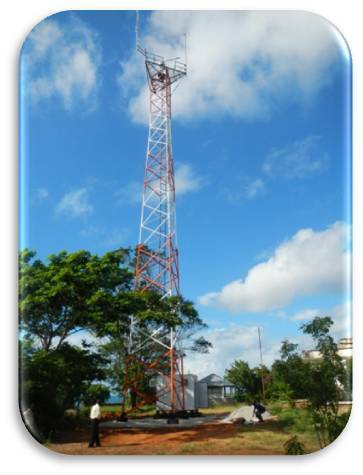 Case Study - Coastal Surveillance - Tanzania | Forward Slope, Inc.
Major challenges for the FSI team in implementing and integrating the BCS system varied by technical solutions adapted and many other factors. The other factors in implementation included; requirements evolution, customs clearance, logistics, host nation technical skill level and power grid reliability and stability as well as system sustainment and communication and advocacy of in-country stakeholders. Success in many areas was dependent upon Host Nation system ownership and Host Nation inter-organizational ownership so these two areas emphasized and understanding and buy in was established early and reinforced. In some locations Internet latency and connectivity as well as the logistics of transporting and installing equipment to remote sites often with no electricity or roads tested the ingenuity of the teams. • Provide Tanzania a shore based maritime monitoring system for their armed forces that included situational awareness functionality through multiple sensor fusion, target detection and classification capabilities. • Provide improved regional surveillance through integration of commercial-off-the-shelf product, enabling Tanzania the ability to monitor their coastal waterways. • Provide to the host countries border control and to their Navy key information such as a vessel's name, course, speed, destination, cargo, national registry and many other pertinent data fields using the BCS system as well as the real-time Automatic Identification system so that they can make decisions on border monitoring and coastal security. FSI established a testing and integration lab and performed a successful demonstration of the MSS Factory Acceptance Test (FAT). System design acceptance was concluded and integration of MTM300 software with multiple radar types was performed. Strategic in-country US Embassy relations and in-country vendor network was established for on-going sustainment and maintenance. Five installations are up and running radio and antenna arrays that report all data to the main installation which then runs the data through the MTM300 core software and provides vital border and coastal information to the host country as well as the US Navy. FSI brought the project in on time and within the budget, operating in often austere and challenging environments. Each installation required FSI to be flexible and innovative with changing requirements and solutions tailored to the environment. Often the FSI team was called upon to improvise, adapt and overcome in-country challenges while maintaining positive and beneficial relationships with the host country’s defense forces.